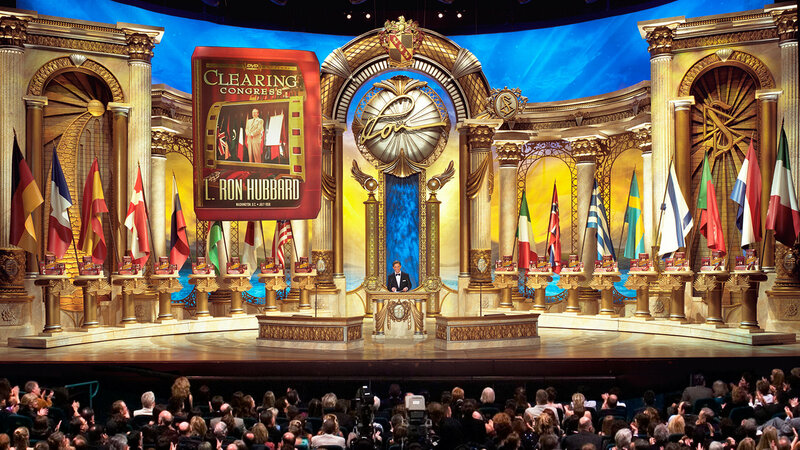 The highlight of the March 2006 L. Ron Hubbard birthday event was the announcement by Mr. David Miscavige, Chairman of the Board of Religious Technology Center (RTC), of the full restoration and release of the LRH Clearing Congress films. The Clearing Congress had been recorded in Washington, DC at the Shoreham Hotel’s West Ballroom on the 4th of July 1958—in full sound and color. For this release more than a half-million frames of original negatives were cleaned and then digitally scanned at the highest resolution attainable. And considering a film is actually a series of individual photographs — 24 per second — that means the cleaning and scanning of 518,000 frames. in total, over 10 million particles of dust, smudges and dirt were removed one by one from those half-million frames. More than 75 terabytes of memory was used, or over 25 times what was utilized to produce the special effects for the Titanic film. In addition to dirt removal, restoration of the original Clearing Congress films included image sharpening, color restoration and repair of torn negatives and film “jitter,” overexposure and other flaws.